Everyone has a story. As the peer recovery movement has shown across the world, by sharing our own story, when and how we are ready, we take ownership of our personal journey. In doing so we add to the collective journey of recovery, and we reveal how policies and practices affect the lives of children and adults in our community. By speaking out, survivors help break through stigma and shame that contribute to discrimination, abuse and barriers to recovery. By joining with others, our personal advocacy becomes community advocacy. Each voice supports and encourages others on their paths to recovery, and energizes social change. Pairing recovery and advocacy has a long tradition in the mental health movement, notably exemplified by the founder of Mental Health America, Clifford Beers. After 3 years suffering abuse in mental institutions, he wrote in 1908 that he would no longer suffer in silence, but was choosing to “fight in the open,” turning his personal struggle with a mental illness into a national reform movement. We are advocating for a better mental health system, but our struggle may arise from a mental health or substance use issue, from domestic or sexual violence, or from any health condition or traumatic event that has carried with it public fear, misunderstanding or judgment. Despite the differences underlying recovery from serious health challenges and recovery from victimization or abuse, there are many similarities, and often overlapping experiences. Those who make policies need to hear from those who must live by them, whether it’s a law that prevents people from getting health care because they don’t have a job, or a corporate culture that keeps people from reporting sexual assault for fear of losing their jobs. Today, #MeToo is a movement proving the power of collective voices speaking out from personal experience, as are the voices of gymnastic athletes who so courageously testified at the trial of their physician. The judge hearing victim impact statements allowed over a hundred survivors to testify – not because all their stories were needed to prosecute the case, but because each person needed to tell her own story as part of her recovery. And it’s bringing positive change in our society. Don’t forget, you can keep track of the status of the bills and amendments we’re tracking by clicking here! 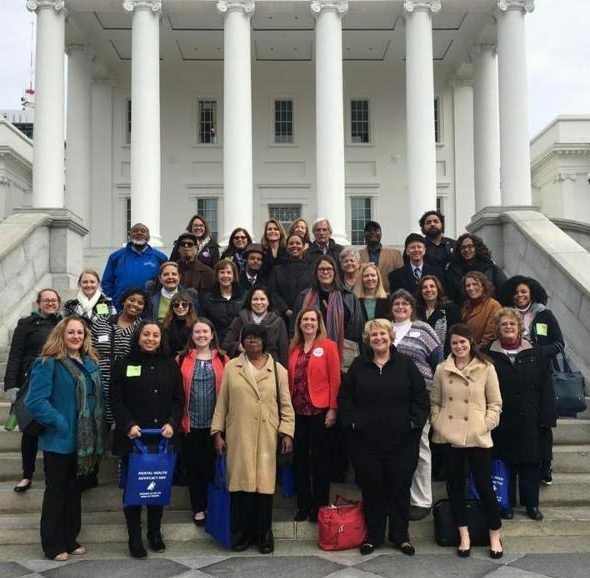 ← Mental Health Advocacy Days — Call to Action!